Began the 2014 goals early; December 29, 2013 is a new start toward time management. Started by unsubscribing from a few emails, eliminating some duplicate ones; this is only the beginning of removing irrelevant items working toward freeing up time in being more productive in the pursuits of completing a nonfiction book in 2014. If your are someone who hasn’t set goals and followed through to the end in the past, there is no time like the present to begin by making a clear statement about what goal you want to achieve and a plan to follow through to completion. How many people you know set New Year’s resolutions, and then actually follow through with them. It is better to set goals for the year, and then work toward them while remaining flexible. No one knows what curve balls may come your way. Achieving one’s goals will teach you many lessons along the way toward making you a better person once you achieve your goal. It is the journey that will teach you if you are open to the lessons along the path of achieving your goals. Unless you can afford to outsource many of the tasks needed to run a business, especially an online business, you will need to set a schedule and work long hours even though you may think the working from home is preferable to working for someone else. How much of this can the average want-to-be entrepreneur working for a living can afford to outsource from their paycheck from their present job? 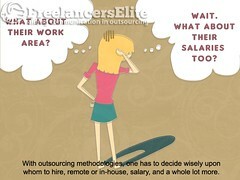 Chances are, not much, which leaves little to none for outsourcing. This leaves the tasks list to the want-to-be businessperson to do it themselves, this is what an entrepreneur is, and has to be if they wish to have a successful business. You may think you don’t need to schedule tasks for your business. You’ll find out just how important it is to set a time frame for each task or you’ll be so encumbered that you will become frustrated and want to walk away. Keep track of your time and don’t let any single task overtake the time from another task. It is easy to work on Email and not have time for marketing or blogging, or any other task that needs its own time. This is called overwhelm and procrastination. Create a daily schedule and To-Do list the night before. Just some of the items you will learn along the way unless you plan ahead so your business runs smoothly and efficiently. Be careful what you outsource when it comes to quality. Lesser quality reflects on you, not the outsourcing company. It’s your business that will suffer from using outsourcing that is not up to par. Today was a day where running around was unavoidable as far as working was concerned. This post, as part of the ultimate blogging challenge, written later in the evening, because of the challenge, is still written for the challenge, and not skipped because it’s after 8.00 PM. Distractions happen, what you are willing to accomplish because of distractions is what successful completion is about, never let an opportunity escape to successful completion of a project. You must make time during the day to complete your to do list for a given day. By making time during the day is how you get ready for the next day, and not leaving what needs completion today for tomorrow. All that leaving things for tomorrow is how you get overwhelmed and frustrated with your business, especially when starting your business. Leaving things undone is a way for business owners to become so overwhelmed that they consider walking away and closing the business. Patience during overwhelm is essential for success. Slow down, take a breath, organize what needs completion, take them one at a time and finish them before you move one. Once you’re caught up with the projects, be willing to spend extra time in need be for the completion of your to do list, never let them rest for the next day. If your to do list is too large, make your list smaller so that you can complete the to do list for the day, but also be willing to work extra hours to create a successful business. All entrepreneurs want a successful business. What are you willing to do to your business successful? Maybe work some extra hours. Adjust projects so they’re completed on time. There is a good deal of hard work to make a business successful. If you are a freelancer working from home, there are numerous daily distractions, which can occur over which you have no control. For example: giving pets a bath, helping your spouse with the home, picking up children from school, taking children to out of home activities, veterinarian visits, automobile inspections, mail, and much more. All of these can rob you of being productive. There is Email for business, possibly periodicals to read, learn more to improve your skills. So, how can you be more productive? Over the years via the school of hard knocks, a great teacher, setting a daily schedule on a calendar, computer prompt, daily To Do list, any way to program your life, and perhaps spending more hours than normal at your business. 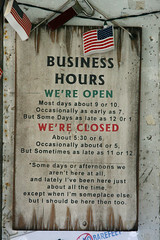 This means, reading, setting schedules, and creating a list for the next day when you close down normal business hours. As entrepreneurs there are interruptions while trying to run a business, mundane things in life like grocery shopping, dental appointments, and medical appointments, and family time interrupt us while trying to run a business. As an entrepreneur, you are first an employee, you are running a business, and there are myriad things you’re going to deal with. Now, about Email and social media, two of the ultimate time wasters, there is a simple way to cut down on the time you spend on these productivity killers. Find some kind of countdown timer. Set it per a schedule for an amount of time to deal with priority mail only, work on the other mail later. Set the timer for a set amount of time for your social media, deal with it later. During your normal business hours, work on what is necessary to run and grow your business. Some things will be hard, but you are a businessperson and need to run your business if you want to succeed. Working on chapter three of “Taming the Freelance Market”, about some myths of freelancing, looking for work, reading books for review, and branding my business. Too bad, there aren’t more hours in the day, but learning time management via the school of hard knocks, as usual. 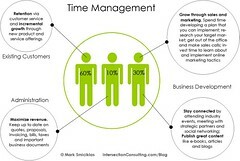 Time management is an essential skill for anyone working as an entrepreneur. Again, I reiterate that writing is a business, which makes writers entrepreneurs. Entrepreneurs are small business owners, whether working solo or in a partnership with someone, they are a small business. Since people are individual and unique, each of you must put on the school attire and learn in the way that is relevant for you. Practice is the way that seems best suited for moi. Individuals must choose their own way and in their own time. Eventually, individuals figure it out, and with daily practice get better. My turn should come, soon would be nice. I would like input from readers of my blog about subjects and leave comments about what they think and maybe subscribe to keep up with what happens on this blog, shameless plug, but the more input, the better “Taming the Freelance Market” will be through research of the thoughts of potential subjects about freelancing and chapter information. The purpose of “Taming the Freelance Market” is to enlighten anyone considering freelancing to make money. “Taming the Freelance Market” is about the good, bad, and ugly of freelancing from an insider freelancer since February 2006. Freelancing stemmed from being an avid reader and book reviewer. Those of us who love the written word consider doing something with words. Having reviewed several self-published books and noticing errors, from writing reviews, the natural extension was writing, blogging, editing, and proofreading. The aim is to help wannabe authors, authors, and business people with content and context. That is the mission of Robert Medak Freelance Writer, and no deep pockets, branding and marketing are part of my homework.